The Bush Business Furniture Series C 3 Position Sit to Stand L Shaped Desk with Mobile File Cabinet offers an ergonomic workspace solution for the health-conscious professional. 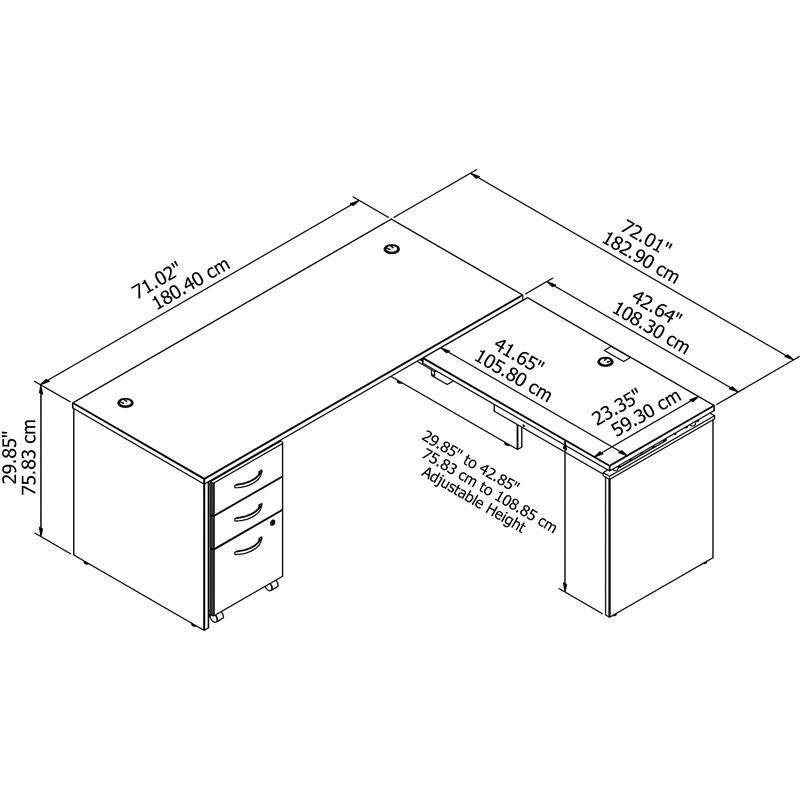 A 72W x 30D Office Desk and 42W x 24D Sit to Stand Return attach to form a space-saving corner desk design, and both feature scratch-resistant 1 inch thick thermally fused laminate surfaces with wire management. The mechanical Lift-n-Lock system allows the Return to lock into place at standing heights of 37, 40 and 43 inches from the floor and easily returns to a seated position. The 3 drawer filing cabinet holds legal, letter and A4 size and has a built-in lock to protect sensitive documents. Fixed desks and storage are tested to meet ANSI/BIFMA standards for safety and performance, and the mechanical lift is rigorously tested to meet BBF's own quality standards. Backed by a 10 year manufacturer's warranty.